U.S. Senator Tom Harkin (D-IA), Chairman of the Senate Health, Education, Labor, and Pensions (HELP) Committee, today released a report on the ‘ADA Generation’—the young men and women who have come of age since the Americans With Disabilities Act was enacted—that offers bold steps to improve the employment of these young Americans as they seek competitive employment. Chairman Harkin was the Senate author of the landmark Americans with Disabilities Act. Leveraging employer demand, correcting misconceptions about employing people with disabilities, building strong pipelines from school to the competitive workforce, and establishing supportive workplaces. Harkin also sets a high—but achievable—benchmark for increasing the workforce participation of young people with disabilities, to 250,000 by 2015. In 2011, Harkin worked with the U.S. Chamber of Commerce to establish a goal of increasing the workforce participation of people with disabilities by more than 20 percent, from 4.9 million workers to six million workers by 2015. To accomplish these goals, Harkin reiterates that that the public and private sectors must work together to provide young adults of the ‘ADA Generation’ with quality work and internship experiences while they are still in school. Harkin also calls for enactment of several key pieces of legislation—including a reauthorization of the Workforce Investment Act­ (WIA)—to create opportunities and incentives for young people with disabilities to work. The HELP Committee recently passed by a bipartisan vote of 18-3 a WIA bill that reauthorizes the Rehabilitation Act, including vocational rehabilitation (VR) programs. 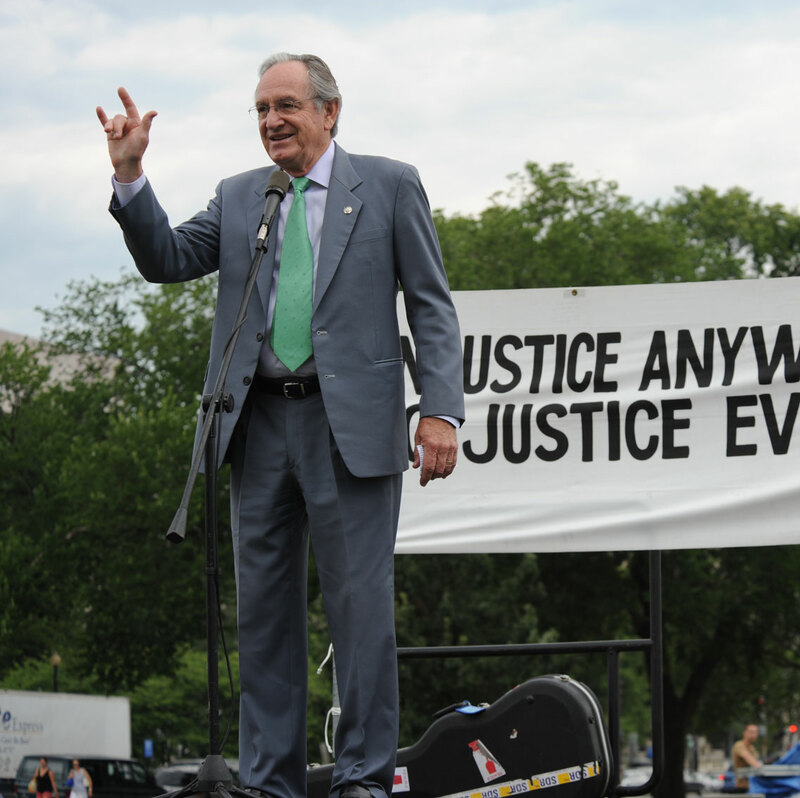 Harkin worked on a bipartisan basis to make improvements to the Rehabilitation Act—Title V of WIA—aimed at making sure that young people with disabilities have increased preparation and opportunities for competitive, integrated employment. The bill requires state VR agencies, in conjunction with local educational agencies, to make “pre-employment transition services” available to students with disabilities. The bill will also require individuals under the age of 24 with a significant disability to make a serious attempt at competitive, integrated employment—including getting pre-employment transition services and utilizing VR services—before he or she can consider working at a segregated workshop or sheltered employment setting. For individuals who are currently in sheltered employment settings, the bill will increase opportunities to move into competitive, integrated employment by requiring ongoing career counseling, information, and referrals about programs that offer employment-related services and supports. Updates to the bill also focus on creating better alignment of government programs at the national level that are focused on employment and independent living for people with disabilities. Read Chairman Harkin’s full report here (PDF).